At the end of the day – what’s the danger in your life, if you don’t stop drinking? People are fearful of what’s going to happen and what the end result is going to be. 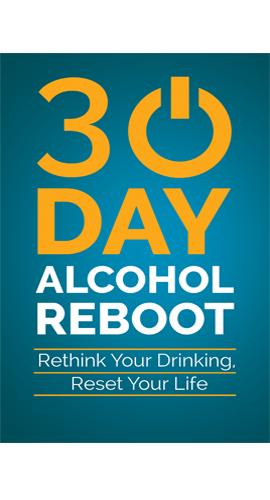 They are fearful of cravings, how their friends are going to view them after they’ve stopped drinking and so many other different things like that. What’s the real danger of you staying the way you are and getting to the end of your life without having done anything, because you were afraid of the outcome? 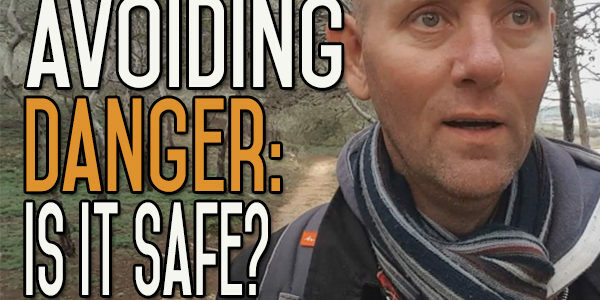 Where’s the real danger? Is it in quitting drinking now or ending up in twenty years’ time with cirrhosis of the liver, in hospital, on your death bed in agony and thinking back, saying to yourself, I should have done it, I could have done, I would have done it, if only this hadn’t happened. But I didn’t do it. What’s the danger? What’s the danger in trying to quit? In keeping doing it. Failing but trying again, and doing that time after time. Eventually succeeding, because you bothered to sit down and think about why you were failing. 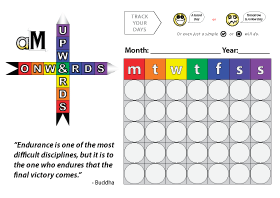 You thought about it and discovered the reason why you failed was because you thought this, or because you did that, or because you didn’t do this, or that, or because you didn’t think this way, and then on the 15th, 30th or the 100th time, you eventually succeed. That’s how it happened with me when I was trying to quit smoking. I never counted, but if felt like I tried a hundred times, before I actually stopped. I stopping smoking for days and sometimes weeks at a time and those first few weeks are the most miserable. 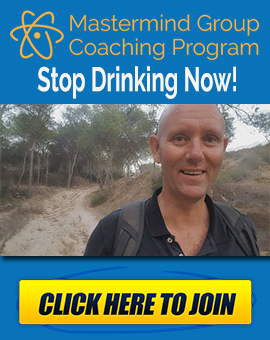 It’s when you get all the cravings, side effects, discomfort – all the gut feeling of ‘I want to have a cigarette’, or ‘I want to have a drink.’ How ridiculous is it that I put myself through all that misery, over and over again? Sometimes, I’d get through the other end and I’d feel great about myself and really patted myself on the back and thought ‘Yeah, you’ve done a good job here, you’ve got through it’ and then something would happen, something stupid where my resolve would fail and I would give in. And I would say to myself every time, ‘I can handle it.’ Even up until the last time. The last time I stopped smoking was when I quit drinking, not this time, but when I quit drinking previously, for ten months. At this time, I also gave up smoking. After ten months, I started drinking again and I didn’t even try to curtail my drinking – after ten months of not having any – the first day I was back on it, I must have drunk 15 pints and I was pissed as a dog. I was just so drunk and I started smoking again, at the same time. I remember saying to Esther at the time – against all my better judgement and the things I’d learnt about myself and the habit – that I had it under control and that I was only going to smoke when I was drinking. It’s as easy to control danger as it is to avoid it. It’s just as easy to avoid danger by confronting it, than it is to avoid it. People that are afraid are caught just as often as people who are bold, who go out there and do things. Security is in your head, it’s an illusion, it doesn’t bear out in fact, so, push forward and go for it! You’ve nothing to lose, you’ve nothing to lose and everything to gain. That’s it for today. 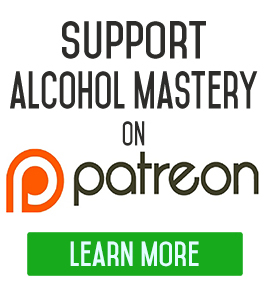 If you want to support the Alcohol Mastery channel you can go https://www.patreon.com/AlcoholMastery and you can donate as little as 2 euros per month, you know it’s the price of a cup of coffee or small beer. This presentation highlights a very important fact about human nature. Many of us seem afraid of trying something different in life, even when there is no rational reason to fear the change. It is as if we naturally fear taking a deviation from our established course. And yet for some, taking these “risks” is what life is all about. I hope to remain in the second camp for the remainder of my life. Todays thoughts ,they were on the money.In the last 12 months I have watched every video,said I would give up 10 times,the longest was a week.Christmas day I got shitfaced in front of my family,both kids dont drink much,I set a good example.I,m one of those that can function ,work all the time ,punch through the hangover pain.But I am 63 retired and if its the last thing I do I will quit and not die an Alco like my dad,My super plan is New Years Eve,stop.really like the effort you are putting in, the world needs it.